Wisdom teeth are the third molars in the mouth, and will generally come through between the age of 18-25 years old. 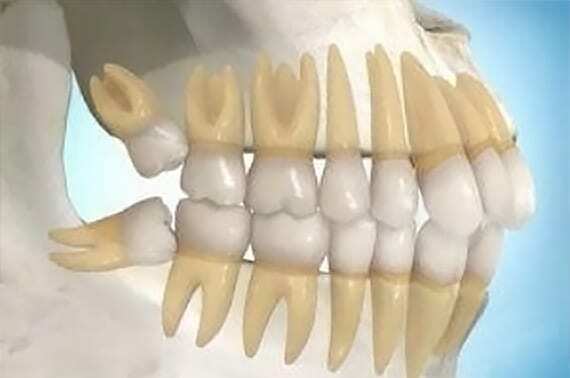 However, due to a lack of space, wisdom teeth are commonly stuck, or wedged under the adjacent tooth. How can impacted wisdom teeth be treated? Our dentists at Emerald Dental Care will advise if your wisdom teeth will require removal. If we suspect the procedure to be complex, a referral to the oral surgeon may be required.